Some owners and occupants of new high-bay warehouses are concerned to find the pristine appearance of floor surfaces becoming blemished by black marks that resist cleaning. Grant Roe, BE(Hons) MEngSc MBA MIEAust CPEng NER, explains why this common problem is often misunderstood and prescribes the appropriate solution. The floor surface of a new warehouse looks pristine but can soon become blemished by vehicle traffic leaving ‘nasty’ black marks. There can be technical misunderstandings behind trade-level advice as to what causes black marks to accumulate and persist on the surface of new warehouse flooring. Due to these technical misunderstandings, ineffective remedies can be recommended with well-meaning intentions but unsatisfactory results. Costin Roe Consulting is one of the world’s leading engineering firms in high-bay warehouse design from both civil and structural engineering perspectives, and winners of the ACSE NSW Award for Excellence in Structural Engineering for work including the high-tech concrete pavement at Veolia complexes in Woodlawn and Banksmeadow. Europe has led the world in high-bay warehouse design and automation. 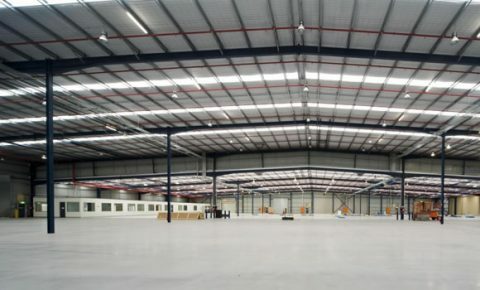 Each year, the firm’s Managing Director, Grant Roe, spends time in Europe examining the latest developments in high-bay warehouse engineering, and in Australia, he is acknowledged as an engineering expert engaged with numerous successful high-bay warehouse design and construction projects. 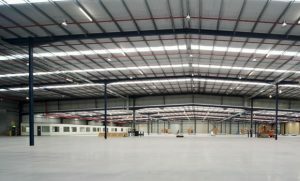 A recent Q&A session with Grant Roe, on the topic of warehouse flooring, delivered the following explanations and recommendations for warehouse flooring maintenance where cleaner appearances are required. The curing compound used in the concreting process, to achieve greater precision and efficiency, is often blamed for the ongoing accumulation of undesirable floor markings. In fact, the curing compound is formulated for rapid break-down and dissipation. “Any effects from the curing compound are gone after six to twelve months. So, whatever its contributing factor may have been for a brief period following construction, people are finding the black marks keep accumulating and resisting all the usual attempts at cleaning and preventative treatment,” Grant said. With the curing compound dismissed as the prime suspect, the discipline of engineering looks objectively at the forensic evidence and the science at work behind evident factors. Grant went on to explain that white tyres had been tested as an alternative but the white rubber was found to be not as durable. Since black tyres last much longer, and perform better for heat absorption, changing to white tyres for cosmetic reasons would not make sense commercially. Yet, for some warehouse operators, aesthetic appearances will matter almost as much as performance. This is where engineers can more accurately identify the cause of problems and prescribe the most efficient means of achieving the desired aesthetic result. 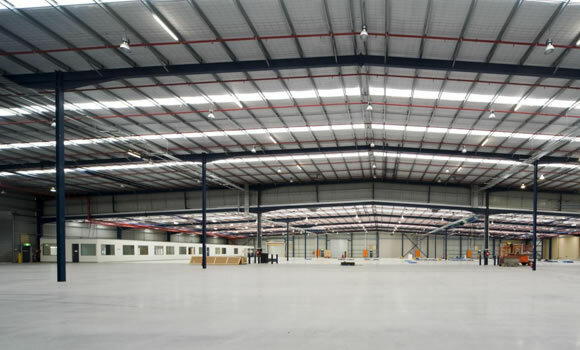 The answer to persistent black marks on new warehouse flooring, as explained by Grant Roe, is simple, practical, and readily available in Australia. For specific assistance with new warehouse flooring projects and any remediation or maintenance issues, call Costin Roe Consulting on 02 9251 7699. 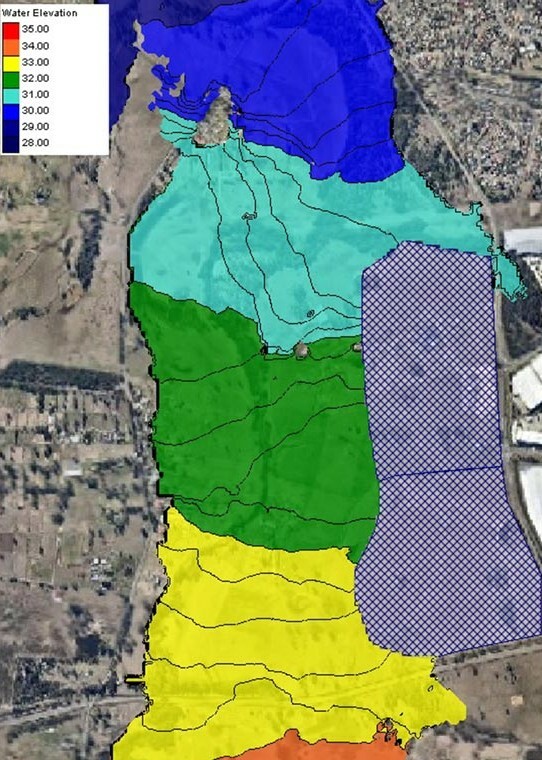 Commissioned by Altis Property Partners (developer), via Hansen Yuncken (project manager), Costin Roe Consulting undertook an overland flow (flood) assessment of 193 hectares of land in Orchard Hills, Sydney. The assessment was required to accompany an application for rezoning to facilitate the development of new industrial facilities on a 43.85-hectare subdivision. 2D TUFLOW hydrodynamic modelling by Costin Roe Consulting assisted in gaining the go-ahead for the proposed development – unlocking formerly unusable land to create business and employment opportunities, and improving the management of overland flow for the site and other land in the vicinity. 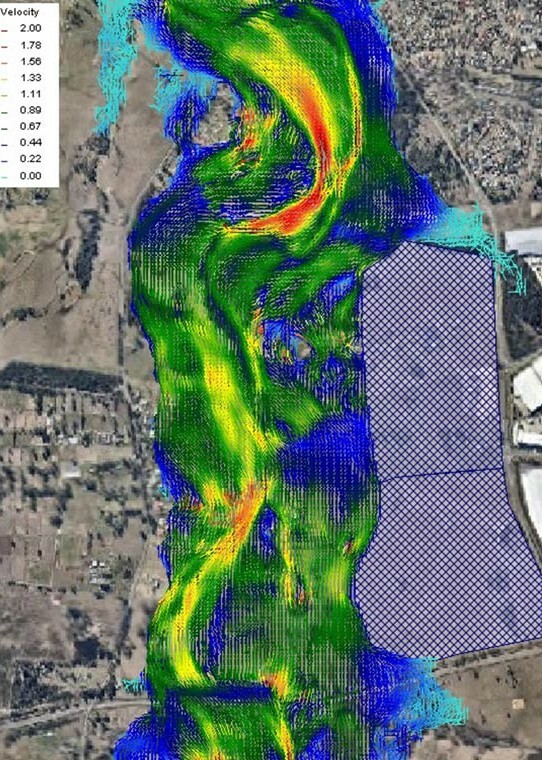 The assessment prepared by Mark Wilson, B Eng (Civil) B Surv ME CPEng, Associate Director (Civil Engineering) of Costin Roe Consulting, first involved building two-dimensional TUFLOW hydrodynamic modelling for peer review by Worley Parsons, the engineers of a flood study of the area by Penrith City Council. Assisting Mark Wilson with the detailed programming and configuration of the TUFLOW modelling was Mitchell Cross, one of Costin Roe Consulting’s team of flood modelling engineers with TUFLOW modelling engine expertise. 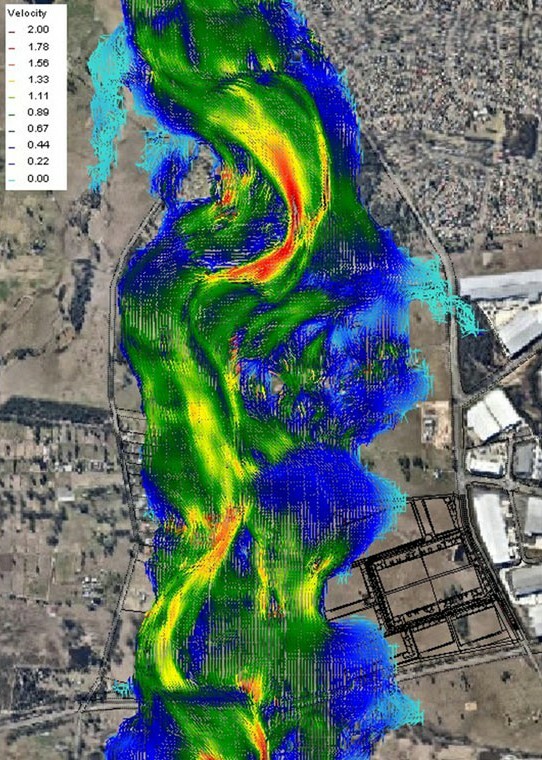 To achieve peer-reviewed validation, Costin Roe Consulting’s TUFLOW modelling was used by Mark Wilson to simulate the occurrence of a range of probable flooding scenarios on the area – in its undeveloped state – to show the accuracy of the firm’s two-dimensional modelling performance against the accepted numerical data. 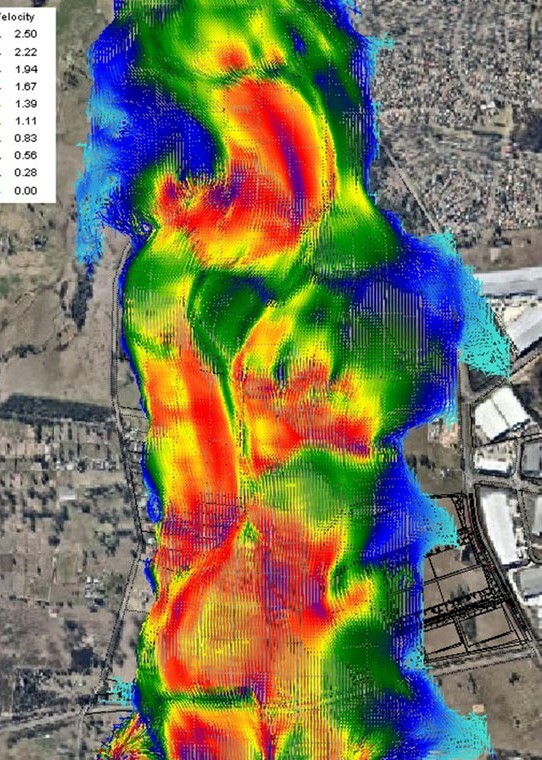 2D model of the 1% annual exceedance probability (1% AEP) flood levels in the Mamre West Precinct (before construction of the proposed development) as built by Costin Roe Consulting using TUFLOW hydrodynamic modelling technology. Next, Mark Wilson used the validated TUFLOW modelling-build to calculate and illustrate the differences in flood levels, velocity, and general hydraulics for the same range of probable flooding scenarios following construction of the proposed development, which would happen in two stages. Finally, the two-part assessment Overland Flow Report Stage 1 and Stage 2 by Costin Roe Consulting successfully informed the NSW Department of Planning & Environment, Penrith City Council, development partners, and various stakeholders on the mitigation and management of land overflow at the site during and after construction of each stage of the project. 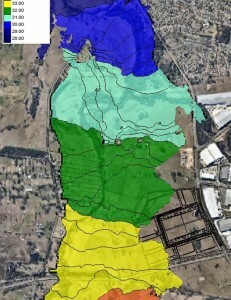 As a result of the scenarios produced by the 2D TUFLOW modelling in the Costin Roe Consulting assessment, it was demonstrated that a large percentage of this flood-affected land could be developed, and was suitable for rezoning, which would allow the Altis-proposed industrial development to proceed. 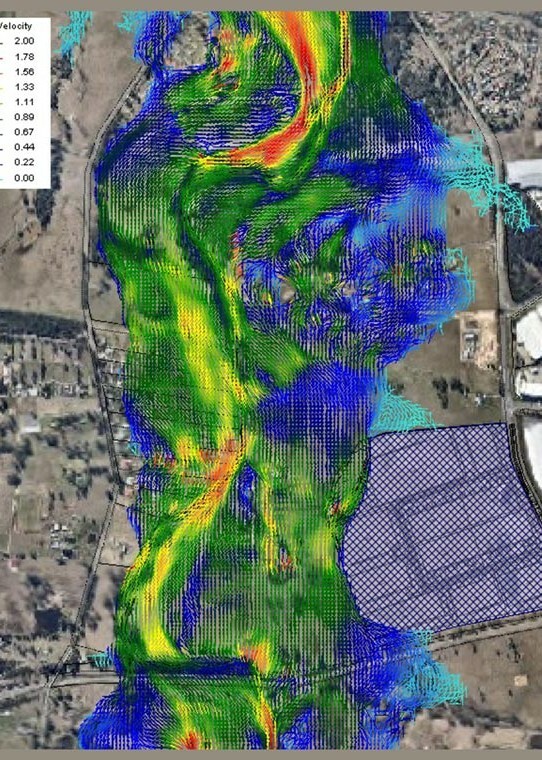 Costin Roe Consulting’s mastery of the TUFLOW modelling engine, and expertise in producing two-dimensional simulations of floodwater behaviour pre/post-development, enabled everyone – including the broader community following exposure of the proposal – to more easily appreciate the benefits offered by the development proposed by Altis, and more favourably consider the statutory changes needed to allow civil works and construction to begin. The site proposed by Altis for the development of major new warehousing and logistics facilities was the 43.85 hectare subdivision of a larger parcel of land zoned ‘Rural Residential’. 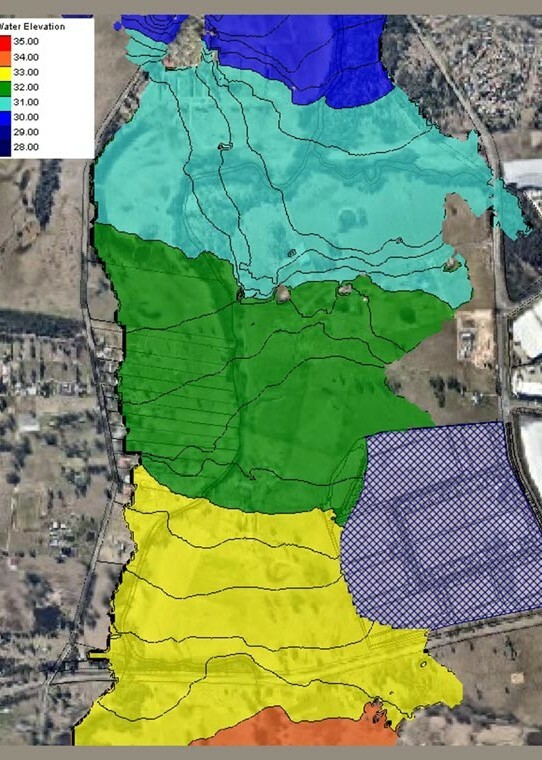 For the proposed development to be given the go-ahead, the State Environmental Planning Policy (Western Sydney Employment Area) 2009 would need to be amended, and the land rezoned ‘General Industrial’. Located at 585-649 Mamre Road, Orchard Hills, the site lay within what is known as the Mamre West Precinct. 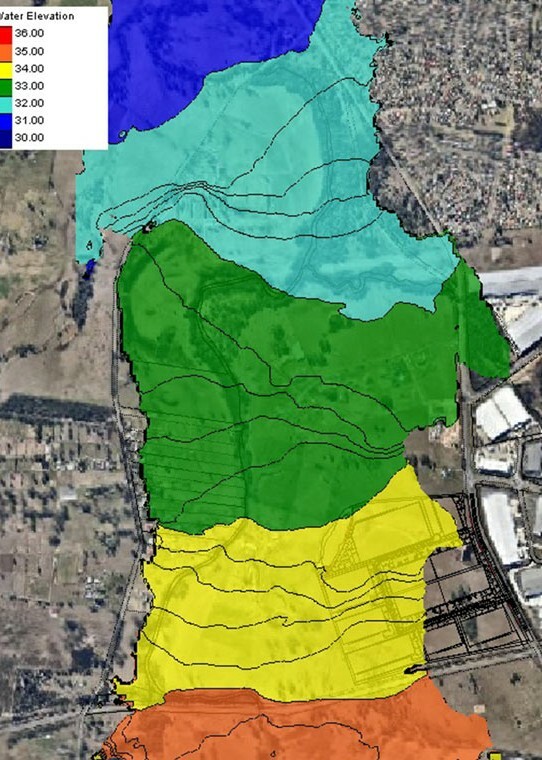 The site was identified by Penrith City Council in the report known as the South Creek Flood Study (Worley Parsons) on the Mamre West Precinct as being affected by overland flow associated with adjacent South Creek. During overland flow events as detailed in the South Creek Flood Study, floodwater on the undeveloped site would be shallow and of low velocity except for the north-west corner, where slow-moving water could potentially reach 1.1m in depth. This area had been categorised by Penrith City Council as a ‘high hazard’ zone. 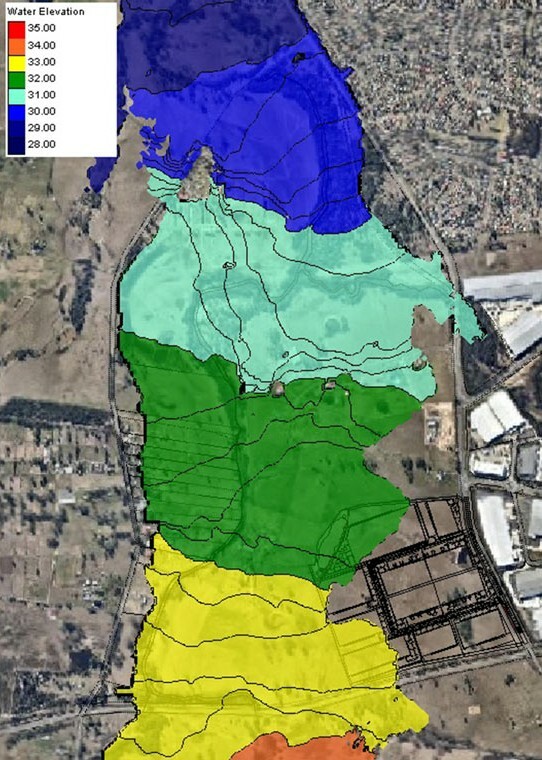 With a residential area to the north of the proposed development, and Erskine Park Employment Area on the eastern side, Altis and its project partners would be compelled to show conclusively that the civil works planned to make the 43.85-hectare site viable for development would not increase the risk or hazard of inundation for properties neighbouring or upstream/downstream of the development when completed and the overland flow from South Creek re-occurred. Mark Wilson, BEng(Civil) BSurv ME CPEng, Associate Director of Costin Roe Consulting, took the lead role in the flood-modelling assessment for the proposed Altis development at Orchard Hills. 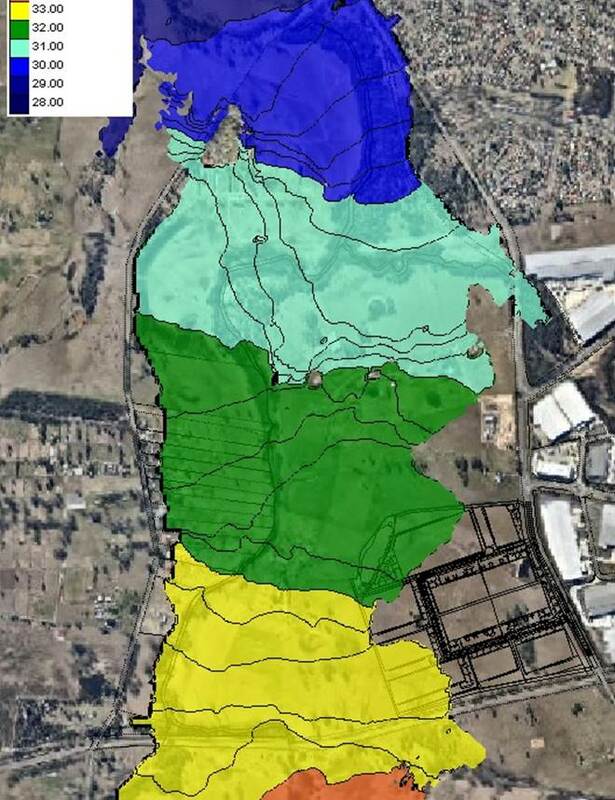 Costin Roe Consulting’s easy-to-understand TUFLOW modelling successfully demonstrated how the Altis development would ultimately mitigate and improve the management of overland flow on the site and surrounding area. This would be achieved via engineered land-filling and the building of infrastructure, including a formal drainage system, where none had existed before. A new access road would be constructed as part of the development project and handed over to the City upon completion. Previously unusable land in a district with prime accessibility to greater Sydney would be made serviceable. More jobs would be located in the far western suburbs of Sydney, handy to residential population centres where the types of land suitable for new industrial developments are in short supply. However, with the Department of Planning & Environment (NSW) the consent authority for zoning amendments under the State Environmental Planning Policy (Western Sydney Employment Area) 2009, and Penrith City Council as a key authority to be consulted due to Section C3.5 of Penrith City Council Development Control Plan 2014 and its guidelines for flood-liable lands, the development proposal had to satisfy rigorous examinations and consultative processes involving these authorities. This is where the external scrutiny of the Costin Roe Consulting 2D TUFLOW modelling-build by Worley Parsons helped meet the high standards of diligence applied by the two levels of government. Costin Roe Consulting was engaged by Investa, one of the largest property groups in Australia, to provide a condition report on the assets surrounding the planned redevelopment of 60 Martin Place, Sydney. For Lee Carroll, MIEAust CPEng MEng, Senior Engineer (Remedial/Forensic), Costin Roe Consulting, this would mean first-hand examination of buildings, basements, vaults, tunnels, and some rarely-seen voids beneath the “civic heart” of Sydney. 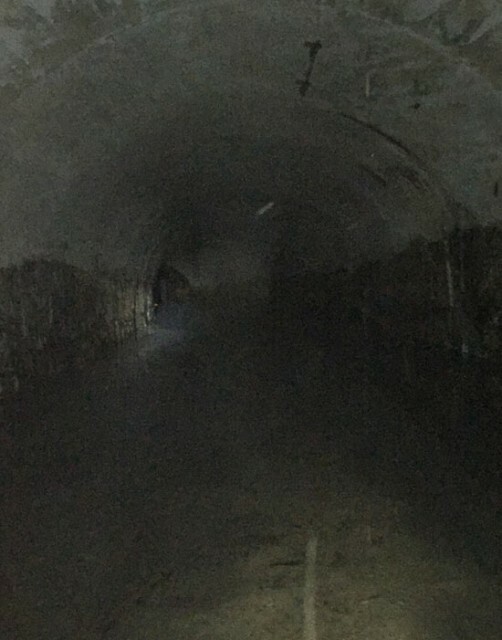 Lee Carroll inspects an abandoned 1920s railway tunnel beneath Martin Place, Sydney. The role of the engineer is essential in the project-planning of urban redevelopment. Demolishing a multi-storey building and excavating for basements removes weight from the site, which in turn relieves the vertical stresses on the subsoil and substratum below. Constructing a taller building on the same site produces greater vertical stresses than existed before. The spring-like movement of the ground during demolition and construction, if not properly assessed and managed from the outset, could potentially compromise the integrity of buildings and infrastructure nearby. Pre-development condition reports by experienced engineers are required for reliable reassurance and guidance, if necessary, to insurers, project partners, and the owners of surrounding buildings. In urban Sydney there are not just the typical vertical stresses of demolition and construction for the engineer to consider, but also horizontal stresses caused by natural forces. There are fault lines running deep beneath the Sydney basin dating back to when New Zealand started breaking away from Australia more than 85 million years ago. The Australian continent is also moving northward, away from Antarctica, at the rate of 5.6cm per year. “The horizontal stresses in Sydney affect rock excavation. The rocks can move between .5mm and 2mm per metre of excavation. If you excavate down 20 metres for a basement, the rock can move 20mm laterally,” said Lee Carroll. Website for the $750 million “Sixty Martin Place”. Investa’s proposal for the redevelopment of 60 Martin Place promised to transform an uninspiring, inefficient, 1970s-vintage office block of 28 storeys into a sustainable, contemporary 33-level complex with two additional basement levels. 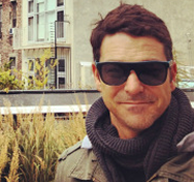 An international design competition was won by architects Hassell in February 2015. The condition report by Costin Roe Consulting would involve inspections of above-ground and below-ground assets within 50m of the boundary of the proposed redevelopment site. On the corner of Macquarie Street and also Phillip Street, 60 Martin Place is right next to the heritage-listed St Stephens Uniting Church (1842) and the Seven Network’s Sydney News Centre. Just across the road, in Macquarie Street, is NSW Parliament House (1816) and Sydney Hospital (1811). The entrance to Martin Place underground railway station is virtually on the front doorstep, and directly opposite in Martin Place is the headquarters of the Reserve Bank of Australia. 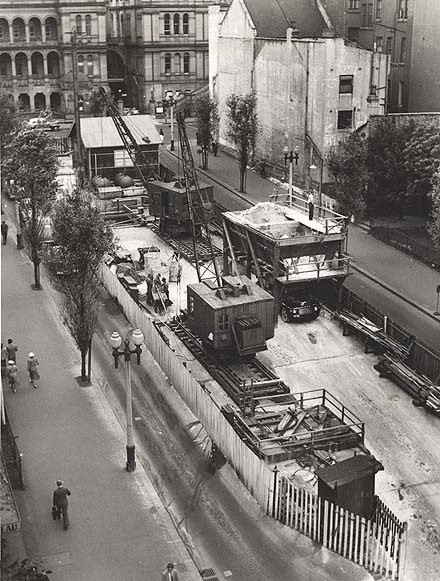 Martin Place Railway Station under construction (1951). See below for image attribution. 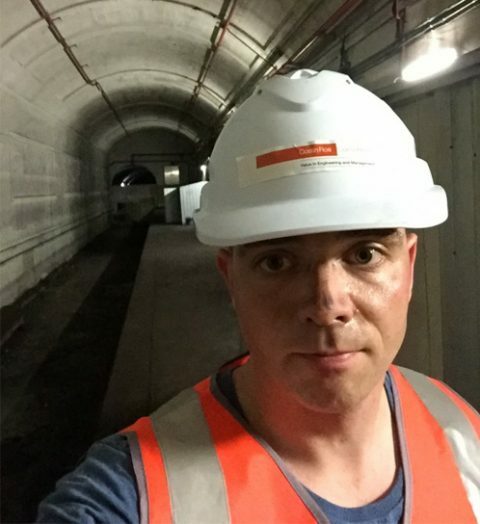 “To assess the Reserve Bank of Australia site we needed to examine the underground vaults. There were armed guards present the whole time. The report had to be written on the site, and left on the site. The security around our inspection was extreme, of course, but it was no barrier to getting the assessment done,” Lee said. 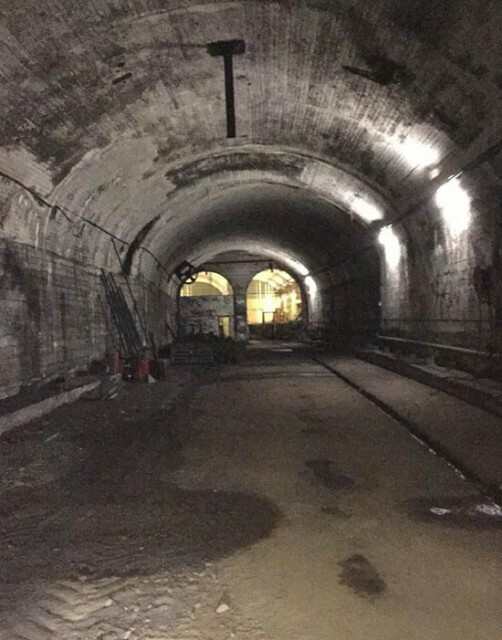 Five busy railway tunnels extend beneath the eastern end of Martin Place. There are three City Circle tunnels, two Eastern Suburbs line tunnels, and also Martin Place station (1979). 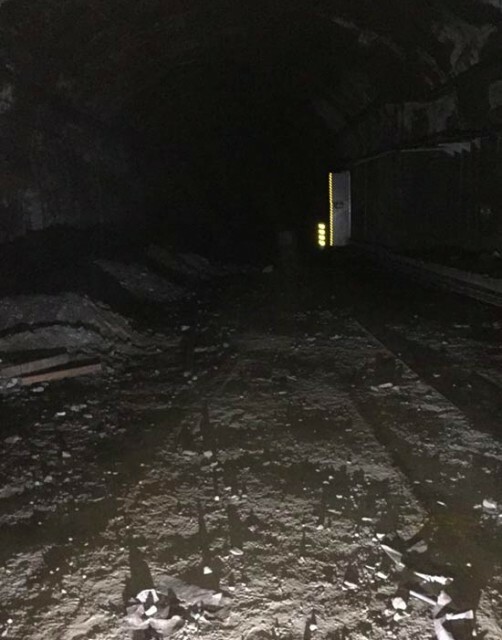 For OHS/WHS and public safety reasons, these subterranean areas were inspected in the middle of the night, when the trains were not running. Radiating from St James Railway Station are several railway tunnels which have never had a train pass through them. 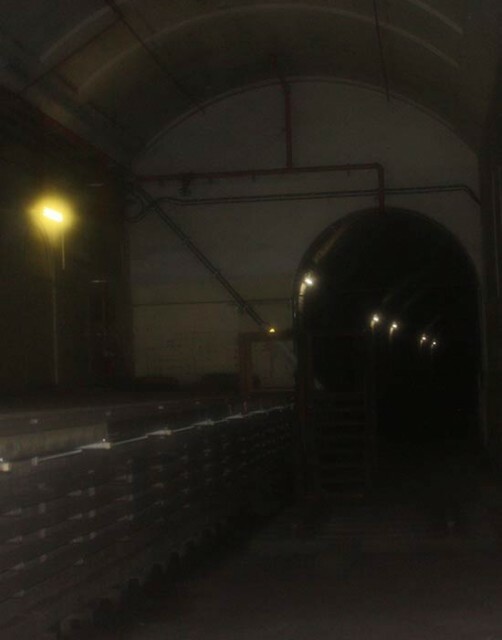 Built in the 1920s, the onset of the Great Depression and then WWII meant these tunnels were never connected to the main lines. The tunnel structures are so solid they were used as mass bomb shelters during WWII. 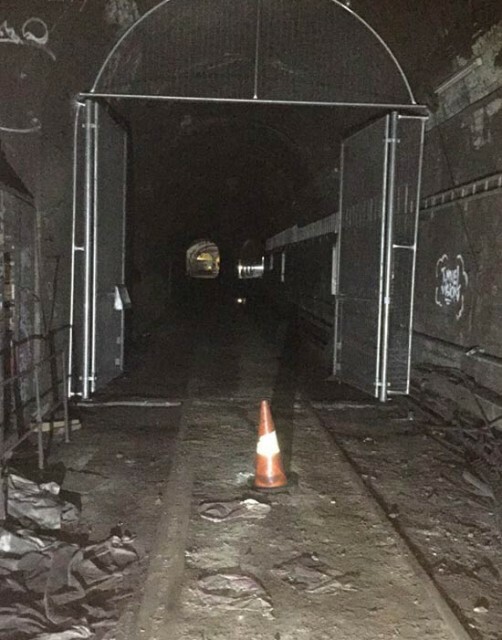 The army’s attempts to blow up the tunnels after the war were unsuccessful and so they remain today, completely closed to the public, and almost never intruded upon. One of these tunnels extends about 1 km from St James towards Martin Place. 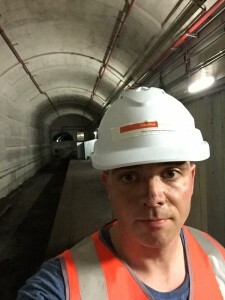 Lee Carroll was required to go underground and inspect this cavernous, abandoned stub of a tunnel on his own – taking a selfie (above right) as a memento of this rare and perhaps once-in-a-lifetime experience. The new building was designed by architects Hassell. With the inventory of assets in the zone surrounding 60 Martin Place satisfactorily detailed and assessed in the Costin Roe Consulting condition report, the redevelopment by Investa Property and Gwynvill Group (the “owners”) would begin with demolition work starting in early 2016. Project completion is set for 2019. The new development, named “Sixty Martin Place“, will offer more than 40,000m² of commercial and retail space at one of Sydney’s most desirable and accessible CBD locations. Supporting both Council’s Sustainable Sydney 2030 vision and the objectives of the Martin Place Owner’s Group, the owners’ aim is for the Sixty Martin Place building to achieve 6 Star Green Star/5 Star NABERS ratings for environmental efficiency. When the roots of street trees were suspected of causing damage to a building at Alexandria occupied by Opera Australia, the City of Sydney commissioned Costin Roe Consulting to investigate and report. Like most suburbs of inner Sydney, Alexandria showcases streets lined with trees of considerable size and age. The narrowness of inner-Sydney streets will often mean that trees, only small when first planted, have reached maturity within close proximity to residential buildings and commercial properties. Large street trees grow in close proximity to the Opera Australia building in Alexandria, Sydney. The encroachment of tree roots is a common problem in densely built inner-city areas. The City of Sydney values the trees on Sydney’s public and private land as public assets. The city’s Urban Forest Plan 2013 commits to a sustainable Sydney by 2030 and ongoing improvement in the diversity of the urban canopy. 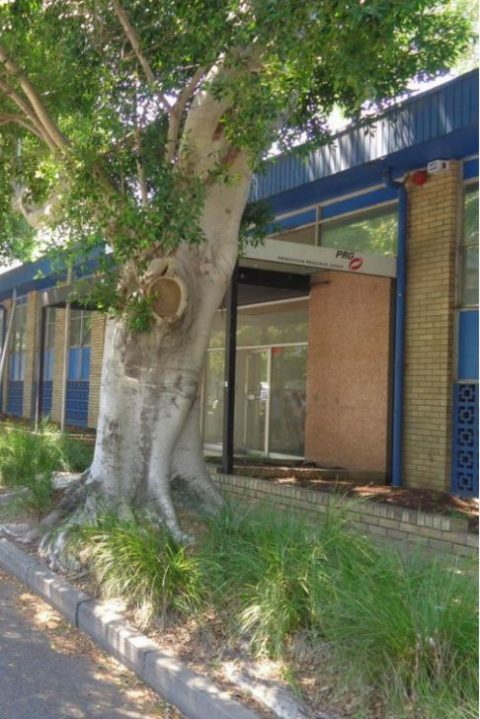 So, when trees become a problem for the built environment, remedial works must be undertaken with great sensitivity, and in close consultation with the City Of Sydney. 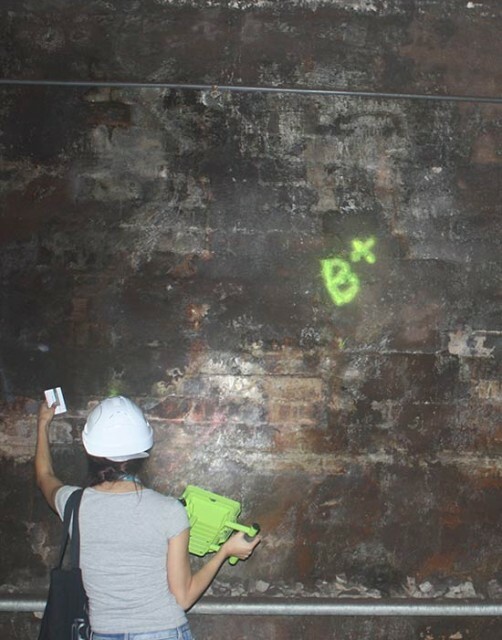 Costin Roe Consulting are experts at devising remedial engineering solutions where commercial requirements and stakeholder interests need to be managed within the broader context of environmental preservation. 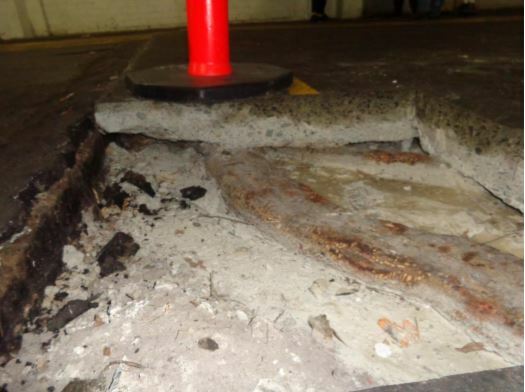 At 58-66 Euston Road, Alexandria, a commercial property occupied by Opera Australia, Costin Roe Consulting found that the roots of two large trees, growing in the street outside the building, had penetrated the ground beneath the basement floor slab. Just below the front entrance to the building, the basement floor slab had lifted by approximately 100mm over an area of 8 metres x 3 metres. 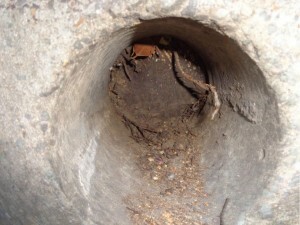 The investigation also revealed that tree roots were blocking an in-ground cast iron stormwater pipe connecting the building downpipe and the street gutter. Remedial works recommended by Costin Roe Consulting included the removal and replacement of the affected concrete slab, tree root pruning, and the installation of a root barrier to prevent further root growth beneath the floor slabs in the basement car park. To clear the blocked stormwater pipe, tree root coring was recommended, or alternatively the replacement of the blocked section of pipe. Roots were blocking an in-ground stormwater pipe. Two trees roots in excavation outside the storeroom wedged between two concrete slabs, lifting the top slab. A large number of properties in the Huntingwood, Bungarribee, and Eastern Creek areas were damaged when a storm front swept through the western suburbs of Sydney on 25 April 2015 at about 3.30pm. Questions were raised as to why the storm had caused the collapse of at least eight warehouse structures. Many properties suffered significant damage associated with roof leakage and water penetration. Costin Roe Consulting was commissioned to evaluate the storm event and report on the likelihood of re-occurrence in the context of design standards for Australian buildings. 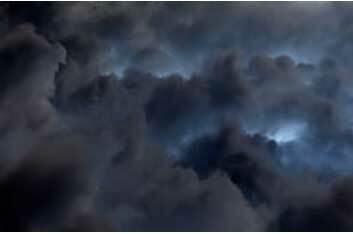 “The total repair bill arising from this storm would have been astronomical. A forensic engineering report is vital for building owners and insurers when it comes to understanding and managing risk to property. There was also a human imperative to determine the cause of damage on this occasion because if it had not been Anzac Day with most workers away on leave, there could have been much greater risk to safety as a result of storm activity at some of the affected sites,” said Grant. BOM data showed that wind pressure was not a key factor in the structural damage caused by the Anzac Day storm. 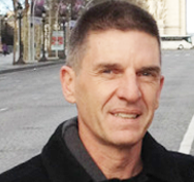 According to report author Mark Wilson, the 30-40km per hour local wind gusts represented a small fraction of the wind pressure tolerance provided by modern building design. Rain was also dismissed as a primary contributor to structural damage. “At nearby automatic weather stations the rainfall was recorded at no more than 20-30mm per hour over about 60-90 minutes of localised storm activity. Just as we had discovered with our evaluation of local wind data, the rainfall component of this storm was relatively light. The heavier episode of rainfall occurred after the hail fall which in itself lasted for about 10-15 minutes. Automatic weather stations nearest to the affected areas were not equipped to measure hail or snow, however,” said Grant Roe. 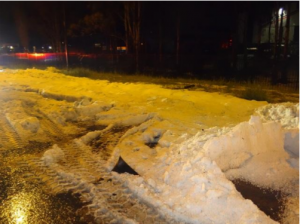 “If this highly unusual hail swath activity had climaxed over a predominantly residential area in Sydney, the pattern of destruction could have appeared more widespread because the storm would have impacted a greater number of individual properties,” said Grant. 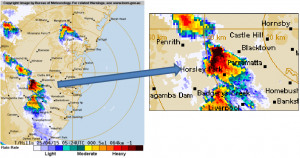 “We identified two distinct hail swaths passing over the Huntingwood and Eastern Creek districts during the Anzac Day storm event. Given the more catastrophic damage to at least eight warehouses in these industrial areas where the roof of one major warehouse could hypothetically cover a small neighbourhood, any of the buildings in the affected zone could have received an excessive load of dense material dumped by one of the hail swaths, or been spared from the most seriously damaging effects,” Grant said. “In this particular instance on Anzac Day 2015, whether a warehouse had collapsed or remained fundamentally intact after the storm, it really came down to luck or the lack of it,” Grant said. “Australian Standards allow ample protection against extremes of weather and other impacts that we could reasonably expect a building to withstand over its lifetime, in the context of its specific location and approved purpose,” Grant said. Video of the Anzac Day 2015 storm made at various locations around Western Sydney by ‘storm chasers’ (amateur weather-watchers) as published on www.extremestorms.com.au. Official data sources, videos, photographs, news reports, and eye-witness accounts were included in the broad range of holistic evidence analysed by Costin Roe Consulting.